I can’t eat like I used to. About a year and a half ago I picked up running for some ungodly reason, and damned if it hasn’t had a fantastic effect on my health. So for Christmas Eve I’ve decided to make a wonderful dinner that’s also on the lighter side: Salmon Filets on cedar planks. Of course to aid in people feeling like they’re over-indulging I’ll be adding richness in the form of a fresh hollandaise sauce. Soak your cedar planks, if you’re going that route, for at least 2 hours in lightly salted water. Meanwhile whisk marinade ingredients and pour over salmon filets. Allow to marinate in refrigerator for about 20-30 minutes, turning once. Heat oven to 400. If not using cedar planks, spray a glass pan or cookie sheet with non-stick spray or cover in aluminum foil, and place salmon skin side down on cookie sheet or plank. 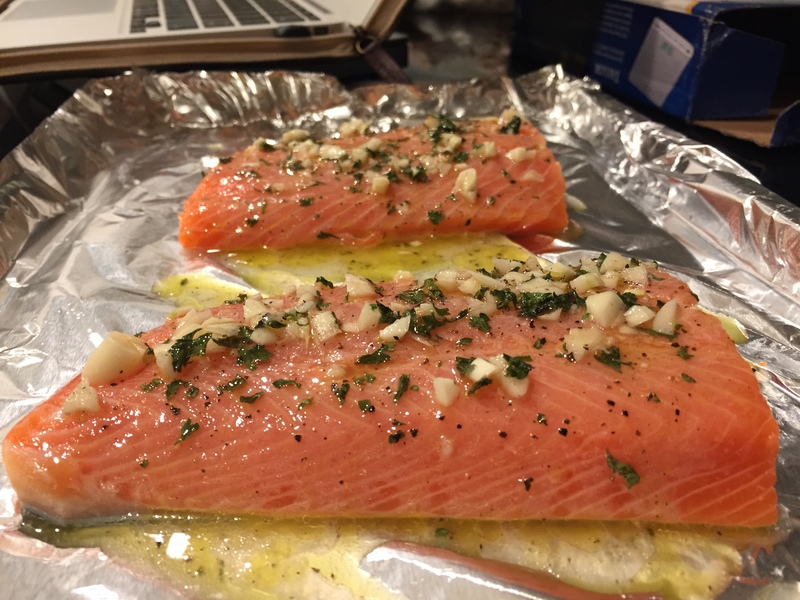 Bake salmon uncovered for 12-16 minutes or until it flakes easily with a fork. Cook until the internal temp of 130-135 degrees is reached; the more you cook salmon the “fishier” tasting it will become. Me? I like my fish to lack any “fishiness” and aim for just a warm center, about 12-13 minutes of cooking. While the salmon is baking, get your hollandaise together. I’m not going to lie: This isn’t fun to make. Is it worth it? Yes. Will your arm whisk those yolks so much that you’ll feel it 12 hours after finishing your meal? Probably. Whisk the egg yolks and lemon juice together in a stainless steel or glass bowl until they’ve thickened a bit. Please the bowl over a saucepan containing water that is barely simmering (or a double boiler if you got one); make sure the water level is low enough that it does not touch the bottom of the bowl you’ve placed over it. While whisking the egg yolk mixture, drizzle in the melted butter. Once incorporated, remove the bowl from the heat and whisk in the salt, peppers, and tarragon. If the sauce becomes too thick, whisk in the white vinegar. If the sauce is too thin move it back over the simmering water for another couple of minutes while whisking constantly. It should be thick enough to nicely coat a spoon, but still be drizzled over your yummy target of fish, poached eggs, artichoke, etc. 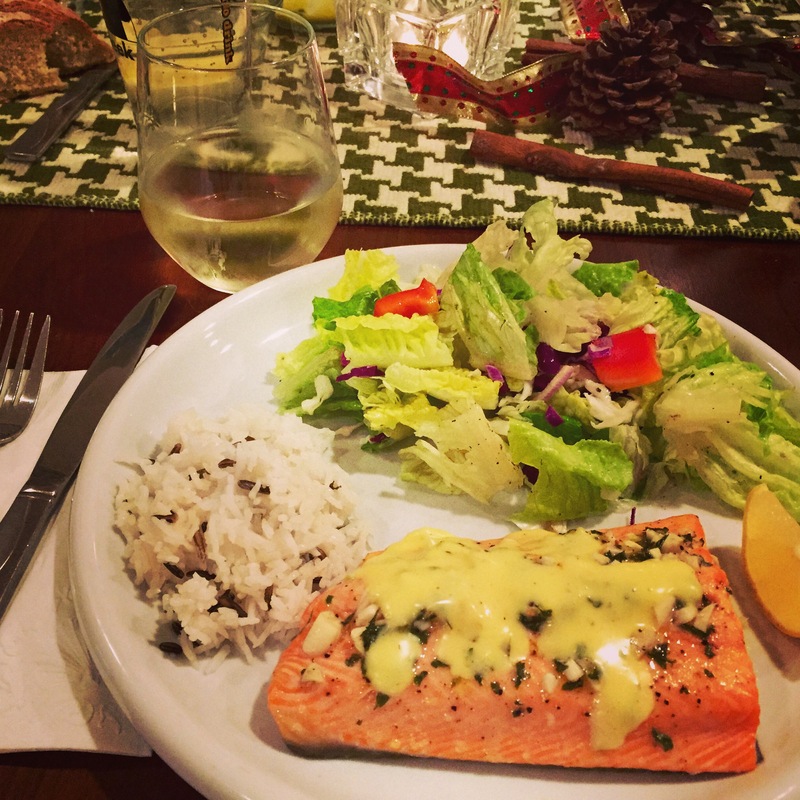 Once your salmon is out of the oven drizzle about ¼ TBSP of Hollandaise sauce over every 1 oz of fish. If you’ve got fillets that are roughly 4oz each, I would recommend a mere 1 TBSP of Hollandaise per filet, as you want to TASTE the salmon. Sure, there will be some who want to drown the protein in the Hollandaise, but they really just want the Hollandaise, not the fish. 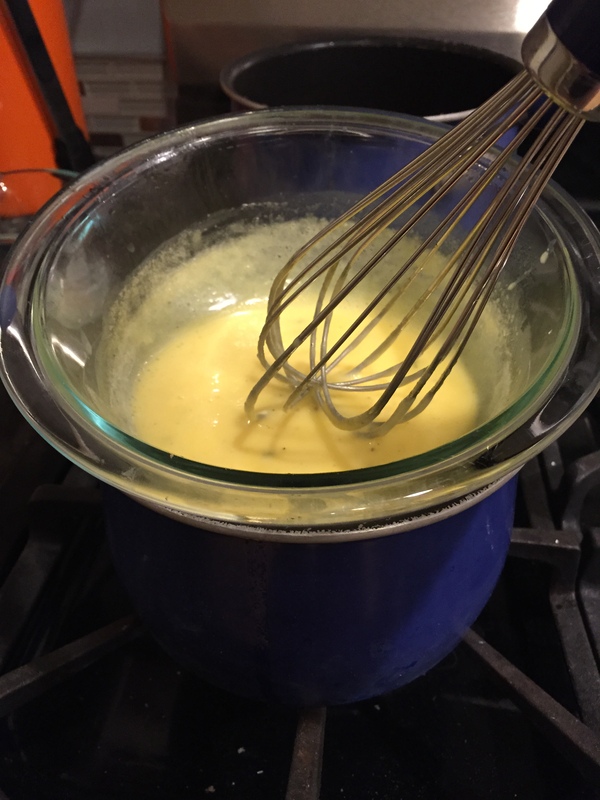 And, besides, if you have some Hollandaise left over, you can store it in tupperware in the fridge for up to 2 days and reheat by whisking over the double boiler again, i.e. EGGS BENEDICT FOR BREAKFAST THE NEXT MORNING!! Whoot to the Whizoot. Serve with rice, a simple salad, or even grilled asparagus with shaves Parmesan. 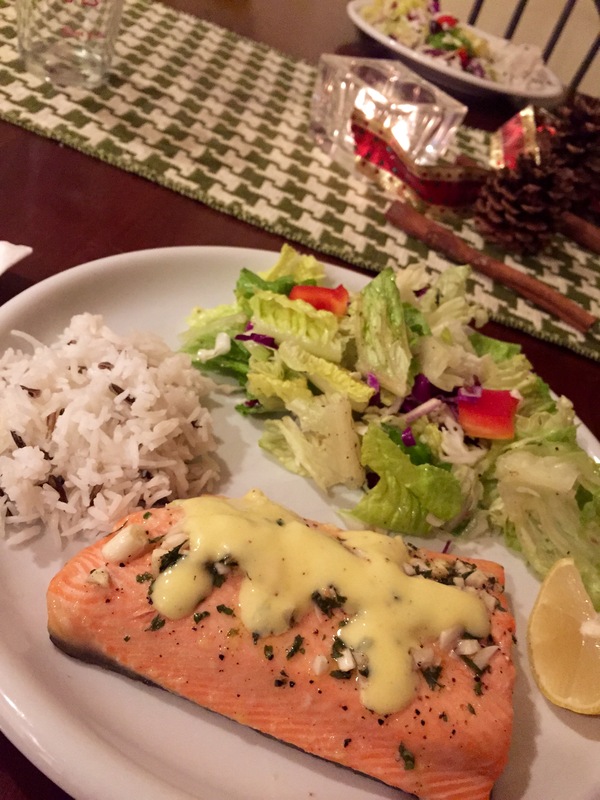 This entry was posted in Food, Geek Chef, Recipes and tagged bake, breakfast, cedar plank, christmas, diet, dinner, easy, eating, eggs benedict, fish, grill, health, healthy, holiday, hollandaise, light, salmon, vegetarian.